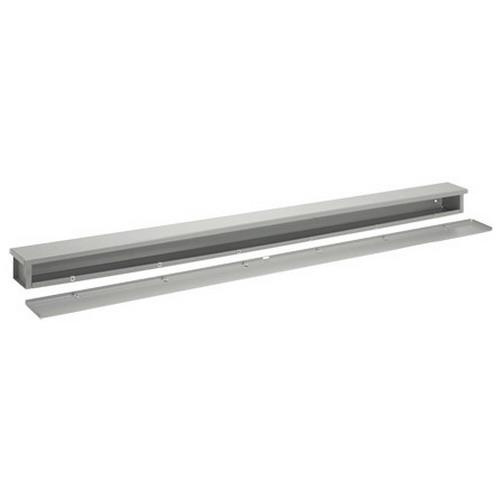 Hoffman Wiring trough features 16-gauge steel construction with ANSI 61 gray polyester powder paint finish for corrosion resistance. Wiring trough measures 6-Inch x 6-Inch x 72-Inch. It has NEMA 3R rated slip-on enclosure with embossed mounting holes on back side. It has IP32-degree of protection. Wiring trough is UL listed, CSA/IEC certified and RoHS compliant.